Everywhere you look on the internet, there are “opportunities” you can find with “full proof systems” that claim to be able to get you rich. Some sound more legit than others. The cash gifting opportunity called Too Damn Easy is a bizarre one you need to see to believe. What is Too Damn Easy About? Is Too Damn Easy a scam? 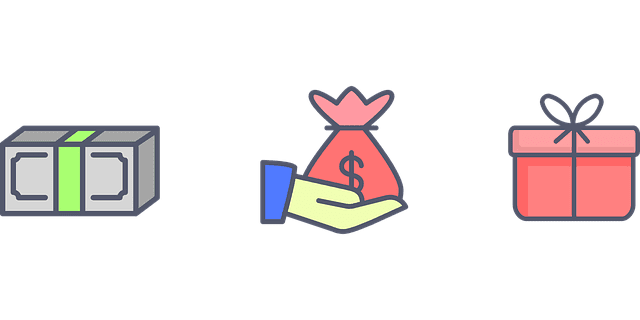 What is cash gifting? Are there cash gifting programs that work? How does Too Damn Easy work? I’ve reviewed all kinds of business opportunities online. From training platforms with “Done For You” systems that charge tens of thousands to survey sites like Swagbucks & Clixsense where you get paid pennies for your time. And then there are all the popular multilevel marketing schemes, ranging from worldwide travel clubs to skin care products. I even got completely taken by this free watch scam targeting influencers on Instagram. Lesson learned! The majority aren’t scams and offer some sort of product or service that’s legit. Too Damn Easy on the other hand is all about cash gifting, and from the onset your red flags should be raising very quickly. In this Too Damn Easy review (with video) I’m going to show you the unbelievable premise Too Damn Easy uses. Sit back and watch the bizarre promises “Q” (the mysterious founder) makes. I’ll show you the materials he uses to convince people to send large amounts of money to strangers. Finally, I’ll leave you with a much better alternative to this bizarre method of earning money that won’t leave you broke. So, what is Too Damn Easy about? Is it a scam? Are there cash gifting programs that work? Let’s find out. What is Too Damn Easy About? Cash Gifting Scam? Watch the following video that explains the ins and outs of cash gifting. Everything is taken directly from the Too Damn Easy website. It’s safe to say this is truly something you have to see to believe. What is Too Damn Easy about? Sit back and see for yourself. So What is Cash Gifting? Are There Cash Gifting Programs that Work? 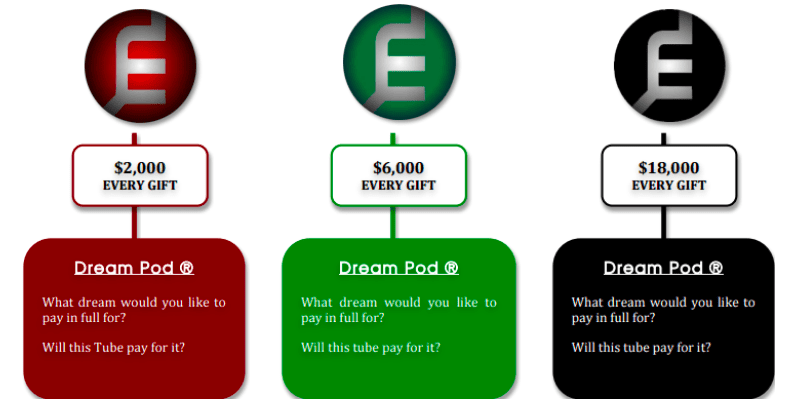 What is cash gifting? Cash gifting dates back way before the internet. Yes, there was a world that existed before the internet. 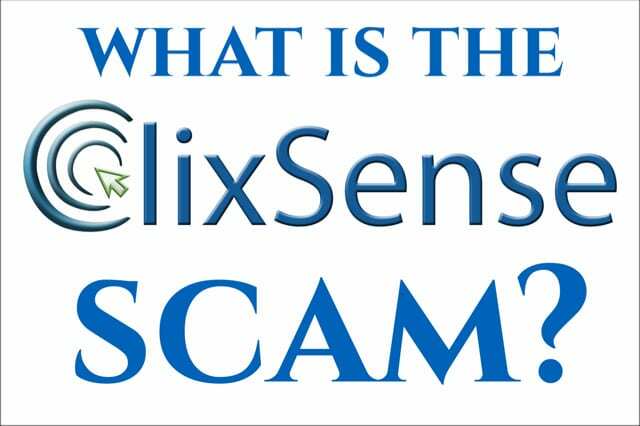 It is a popular pyramid scheme where money is exchanged, but there is no actual service rendered. This is what makes pyramid schemes illegal. Instead, payments are promised for enrolling others into the same scheme. This used to be popular with chain letters. You would receive a letter in the mail with 5 names and addresses on it and instructions that you are to follow. Step 1: send $1 to each of the names and addresses on the letter. Step 2: remove the top name, move the other 4 names up one spot, and put your name and address in the 5th spot. Last step: send this new letter with its instructions out to 10 (or more) random people. The premise here is that when you sent your chain letter out to 10 people who then follow the instructions and send to 10 who send to 10, by the time your name goes up the ranks from the 5 spot to the top spot you’ll have received potentially thousands of random letters from people each with $1 inside. What more do you need to know? You’re rich! (Not really). As you well know, these things NEVER work! So what is Too Damn Easy about? 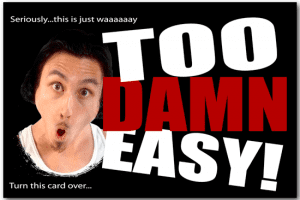 Too Damn Easy is about putting a modern internet spin on a dated pyramid scheme aimed at finding VERY GULLIBLE and usually desperate people. How Does Too Damn Easy Work? Too Damn Easy is one of the most bizarre schemes I’ve had the opportunity to review & it starts from the top. The man behind the business simply refers to himself as “Q”. There is literally nothing more you know about him. You hear his voice, but you never see his face. This should raise huge red flags. When you go to the TooDamnEasy.com website you’re greeted with an out of focus video showing a super close up view of 600 stacked $100 bills. You’ll see stacks of money on the floor, stacks of money on a table, and stacks of money in a cash counting machine. Most of Q’s videos follow this theme, and the video itself is, well, bizarre. When you ask yourself, “Is Too Damn Easy a scam?”, think about what red flags would pop up if you did encounter a scam online. Think about all the things you’ve been warned to stay away from when it comes to online scams. Too Damn Easy will have all these red flags popping up and more. First, we’ve already established that you never see the founder’s face or know his real name. Second, it costs a minimum of $2000 to buy in to Too Damn Easy. Last, you will be sending this hard earned money to someone whose name you don’t know and whose face you’ve never seen and hoping other people are willing to do the same. As you can see from the instructions Q provides you with, you will use the tools provided to reach out to completely random people to get them in on this same process. The main tool is a postcard where you don’t have to say or do anything except mail it out. And if you believe the Too Damn Easy instructions, it will do all the talking and convincing for you. When your recipients see this work of persuasive art, they will be running to their computer to get started! (Huge red flag). To paraphrase the front of that card, seriously, this is just waaaaaay too damn ridiculous. It amazes me that anyone in their right mind would take this seriously. To be asked to send a minimum of $2000 off to a stranger after reading a postcard like that should raise every single red flag you’ve ever imagined in your entire life! So are you following how all this works? I’ve got to hand it to this guy, Q has built quite an elaborate scam here. What Too Damn Easy is about is simply preying on the minds of the gullible and desperate. There are still those out there who believe if they read something online then it must be true. How could this guy promise things like this if they didn’t work. Maybe it doesn’t work for most, but what if it works for you? These are the thoughts that can fill one’s head when you throw common sense out the window. Don’t throw away your hard earned money. Additionally, Q has 10 different domains he’s running this program off of. “Q” also has a phone line you can call where you can listen to him talk about his sweet success. He offers up testimonials and vague “proof” of the validity of his system. He even has it set up so you can download some information if you’re calling from a fax machine. Like most cash gifting schemes, yes, it is in fact worthy of being called a scam. If Q put these kinds of efforts into something more straightforward (and legal) there’s no doubt in my mind he’d be a legitimate success. You also get access to a 25 page ebook that is utterly useless in my opinion. Yes it actually is 25 pages. It explains the system in detail and touches on the different levels you can buy into. All kidding aside, there are actual people throwing their actual money into this scheme. And as you can see, it can get quite expensive. People are being convinced that sending off up to $18,000 to a stranger is a good idea. They have visions of all these other strangers sending up to $18,000 back to them. Don’t fall for this! I don’t usually throw the “scam” word around lightly. While some opportunities may be expensive, and some may be doomed to plateau relatively quickly, most usually offer up some kind of product or service making them legal. This is not one of those opportunities. Is Too Damn Easy a scam? Yes. What is Too Damn Easy about? It’s a cash gifting scheme using a modern take on chain letters. Your first of many red flags is the mystery and slipperiness behind the founder. We don’t even know who Q is! Second, there is no product or service here! It’s no wonder Q has made it impossible to track him. If people knew who he was there would definitely be lawyers drafting together a Too Damn Easy lawsuit. This is the capital of scam city! As if it needs repeating, DO NOT PUT YOUR MONEY INTO THE TOO DAMN EASY CASH GIFTING SCHEME! Cash gifting is almost always a workaround to make something sound legal that is not. Don’t fall for these scams! There are much, much better ways to make money online. We’d all love to build an online business for ourselves and be our own boss, right? The online community and training platform I’m a part of teaches entrepreneurial minded people how to do just that. If that’s something you’re interested in, I can’t recommend it highly enough. I’ve had nothing but positives from it, and you can try it free for yourself to see if it’s for you. Even better, there’s no cheesy postcards or large sums of money to send out. What other opportunities have you seen that you’d like reviewed? Were you close to falling for an online scheme like this one? What has been your main hurdle to overcome when it comes to building a business online? Ask any questions you have and leave them in the comments below. Share your experience! I’m always here to offer my advice and I’m looking to help. Wealthy Affiliate vs World Ventures Travel Club Reviews – Best Business For Travel? Best Affiliate Marketing Training Courses: $7200/month PROOF! You have 100% confirmed my suspicions, Eric. Too Damn Easy” is probably “Too Damn Illegal” for me to take a chance on. One thing I’ve learned is that nothing of consequence is easy. So as I read through this review, and you laid out all of the red flags, all I could say was “Yep”. Great insight into all of the scam flags, good job. Very happy to have helped you out. It’s crazy to me that people will throw their hard earned money into such a sketchy scheme like Too Damn Easy. If you’re looking for legit training on building consistent income online as opposed to a cash gifting scam, I highly recommend checking out the training platform & mentoring community I recommend at the end of the article. Thanks so much for the comment! I feel these types of cash gifting scams feed on people’s desperation. It’s a shame so many get suckered into these things and lose their hard earned money. Thanks for the comment! Wow! This is absolutely bizarre. Do people even believe in this? This is insane. Surely enough the guidelines itself raised all my red flags. It’s so creepy! I still don’t understand why people are desperate to make money without even working hard for it. You can never earn money without putting in an effort. People should really invest the $2000 dollars they spend on this on some sort of online business or a local business. They’d earn long term profits from them. Thank you for the review, this will help many out their who’s falling into the darkness. It’s amazing to me how normally smart people will sometimes do things or believe in schemes that make no sense. Too Damn Easy is too damn ridiculous, lol. There are way better ways to make money online, and here’s one scam review that I found to be 100% legit.. Thanks so much for the comment! Thanks for the 411. This does seem to have “scam” written all over it. It’s so sad that people will go to such lengths to take hard-earned money from gullible people. Con artists are prevalent on the internet. Thanks for bringing another one to light!!!! I will keep an eye out for other cons that you bring to light. Thanks for the kind words and the comment! Yes, it’s almost hard to believe that anyone would fall for this Too Damn Easy scam. I was glad to share this and hopefully help people find much better & more straightforward ways to make money online. 🙂 Thanks again! Oh my goodness, Eric, I can’t believe there are still things like this going on! Yes, I remember the pre-internet days when we would get all sorts of chain letters, asking for ridiculous things like this. And then they’d predict some disaster if you didn’t respond. Back in the day, I remember one gift exchange that had you bring cash in a brown paper bag and meet the top person on the list. It was really sketchy but the first hundred or so people actually got the money. The longer the exchange went on, the less chance it worked. And now they’re using the internet. Crazy!! Yes, these cash exchange and cash gifting scams still exist. If it’s sounding too good to be true, it probably is. And in this case, it’s not only shady, but it’s very expensive. Thanks for the comment! Hi Eric, thank you for a great review of Too Damn Easy and exposing these scammers. It makes my blood boil when I see scams like this and people falling for these scams. The sad part is that usually, it’s the people who are desperate for cash end up being scammed and having their dreams of a better life destroyed by these heartless scammers. A long time ago, (before the internet), when I was young and foolish, I too got caught out by the chain letter scam. Now, these scams have got more sophisticated and moved online where they can easily reach out and hurt more people. Love your site…keep up the good work exposing the scammers! Thank you! What you say is so true. Now the internet has allowed these scams that once had a small scope to have a global one. I appreciate your comment and insight! Thank you! I just don’t know how people can fall for this, especially as those price points. I can see people parting with $20 (as I see people give this amount of cash daily to addicts on the street), but $2000 ?? That’s insane… I’m sure the person that started this scam is laughing each time someone forks over that kind of cash. These cash gifting scams prey on the desperate and the gullible. It’s very sad for sure. There are MUCH better ways to make money online! Thank so much for your comment! Fantastic review and video. Eric you have a well written article. The sad thing about this is people fall for this and it could be their last two thousand dollars and the saddest part about this is these guys lose no sleep or even think there doing anything wrong. It’s great guys like you who shell these clowns out and I hope many will read this as I will be sharing this link very powerful Information thank you so much. Thanks for the great comment and insight, David! Agreed! I just learned of another fake scam to avoid, thank you for that. You’re very welcome! Unfortunately there are so many out there it becomes hard to keep track of what’s legit and what’s not. In this case, it isn’t too hard 🙂 Cash gifting scams in my opinion are the easiest to spot. Thanks for the comment! Well, two thousand dollars buy in and you never see the owner. I really cannot understand why people pay so much money just to get started. Based on what you have written above it is an obvious scam. But I would never join a so expensive program even if it had the best reviews on the internet. You hit the nail on the head. I think the cash gifting program scams out there are crazy in the first place, but Too Damn Easy might just take the cake. There are much better ways to make money online! Thanks for the insight! Hi Eric, this sounds like a Fairy Tale to me. I could understand the $1 but $18,000 is a lot of money. The title is telling his customers that it’s too damn easy to steal their money. I cannot believe people would fall for something like that. Ii is a Scam and I hope people will do their research before they do any kind of business online. Thanks for showing us what this person is up to. Agreed! So important to always do your research! Thanks for the comment! OMG! I can’t really imagine someone sending $2000 to a stranger! I could see if it was $1 like the old chain letters that there may be some people who might go for it since $1 is not so much to gamble on trying to getting back much more. This has got to be one of the most asinine scams out there. You don’t have to worry about me falling for it. I shared your post to get the word out because there’s probably duplicate scams with lower dollars that people might actually fall for. Thanks so much Eric for the heads up on this one. I appreciate that! And yes, $1 I can understand. Maybe even $20. $2000?? lol. Yeah I don’t think so. Sad to think people would fall for this. Thanks for the comment and getting the word out! Awesome information, your post is well detailed like you said there are a lot of legit programs and a lot of scams that are out there. To know the difference we must and should do our homework so that we won’t be scammed. Sadly to say many have fallen for scams and have lost their hard earn money. And then are the good guys that are legit and will help you to make real money. Your readers will love the information that you are sharing. I appreciate that, Norman. Thank you. When I found the online community I’m a part of I started to understand real online business. Now I absolutely enjoy writing these reviews that expose not only the obvious scams but the ones that are way too expensive for what they promise. Thanks man! Hi Eric, I’ve got to say this one caught my eye because first of all it was offering a lot of money, and second of all the reviewer claimed it was fake! I guess it comes to show us that not everything online is a scam, just some of the stuff, and you can normally notice the fakes. I also had a look at your #1 recommendation Wealthy Affiliate which looks awesome. Thanks, Omer! It’s important to be able to navigate through the offers that are too good to be true and those that have actual substance to them. I can’t recommend enough creating your free account with Wealthy Affiliate if making money online is something you’re interested in 🙂 If you have any questions or need any help, don’t hesitate to ask. Thanks man. I haven’t actually heard of cash gifting programs but this article caught my eye and I was intrigued as to what they actually were so i thought I would take a look. I can’t believe that people actually fall for this, I mean, I’m struggling for money at the moment but I’m not stupid enough to get caught out by someone who named himself after a James bond charecter! Agreed. Unless you’re the actual James Bond, don’t listen to Q 🙂 Thanks for the comment! First of Thank you for this article! It is very much needed. It’s unfortunate that there are people like this that take advantage of other people when they are vulnerable. In the beginning of my online journey I was not aware of these scams and they were not much sites like yours that provided accurate reviews. So yes I did lose a few bucks with some scams that I want to forget. What’s scary are the ones that seem like they’re legit. How did you find the training platform you mention? I’m going to check it out. What’s up, Dira! I found Wealthy Affiliate much like you, doing research. And what gave me the confidence to actually try it without fear of being suckered is there is a free try. That made all the difference in the world. I never looked back 🙂 Thanks for the comment! I appreciate it. Thank you so much for the information! 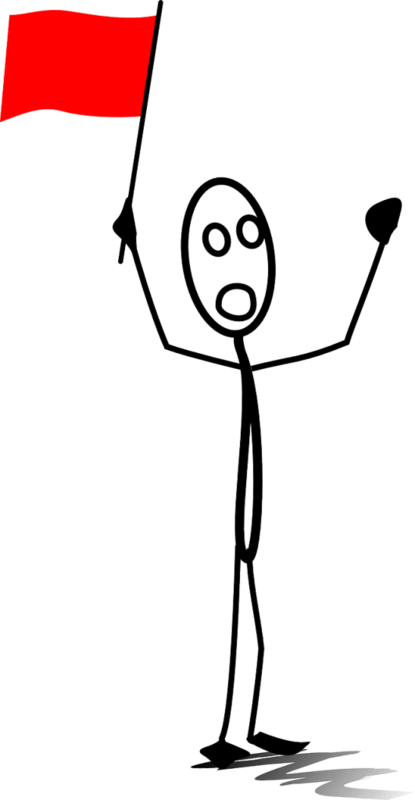 I have been checking out a lot of websites about scams because I am looking to earn some money online! I love yours. Did you create this before or after your training? Man, this stuff just makes me sick! I don’t know how Mr. “Q” can live with himself each and every day! The sad part is that so many people are struggling now and trying to find other ways to earn income and online seems like such a great way. Thank you for your review! I am so glad I saw your post before his and didn’t get sucked into his nonsense! Amen to that. Remind me to never get you upset 🙂 lol. Thanks for the insight and I’m glad this Too Damn Easy review helped! Many years ago, when I was desperate for money, I looked at various Gifting programs. It seemed so easy, and if everyone would just do what you they were supposed to…. I think that if I did not need money, I would not have given them a second look. It came down to figuring out how much money was I willing to lose. Sounds like gambling, right. I never did it, because the common-sense part of me over ruled. This program absolutely is a scam, don’t waste your money. I am always amazed that people get involved! Are gifting programs even legal? Great insight, Judith. I never thought of looking at it like that. It makes sense that when you’re needing money in a bad way you’re willing to take a gamble and calculate how much you’re willing to risk. It’s not that you don’t see the red flags, it’s that you’re calculating how much you’d be willing to bet despite them. Great point! And yes, with the $2000 minimum price tag on this one, it’s a wonder anyone would jump in. I really appreciate that comment. Thank you! I had heard of these guys and now I see that my instincts were on point. It’s almost comical, yet like you said, people lose big money to schemes like this. Thank you! I hope more and more people able to read this before wasting their hard earned money. Thanks for the comment, Maxx. I hope this helps everyone realize that there are no cash gifting programs that work! Stay away from cash gifting schemes! Good to know! I can’t believe people actually fall for this. Must be TOO DAMN EASY for Q, lol!I enjoyed reading this post though, very well written. Thanks for the information. Have you talked to any of the clients/victims? I wonder what they get for their money. Aswell, there must be a way to trace this guy via his payment methods. Thanks for the comment, Emiel. Unfortunately what most get for their $2000 is a 25 page ebook and a feeling of being suckered. Got to hand it to this guy. He’s smart enough to cover his tracks. There is no information available about him. I think most people who fall for this are too embarrassed to even pursue it further. It’s an expensive life lesson that’s for sure. Thanks for the comment! Thank you for this! Some are so desperate and looking for answers that they will go against their own common sense and it takes a post like this to shake it back into them! Great advice. And you made me laugh too. Seems like you had fun with this one, bizarre as it is. Its too bad these scams are still out there. I guess they have been around since the dawn of time and will be around long after I am gone. The unfortunate part is most of these scammers prey on the people who are desperate, people who are on their last chance. So I guess all we can do is continue to educate like you are doing here. With help from yourself and many others like yourself Im sure we can save some people some disastrous results. Amen to that. Especially for those just getting their feet wet with online business, it’s important to show them that legitimate and lucrative ways to make money online, not just these shady schemes. Thanks for the comment! Cash Gifting. What a goofy scam…eh? I’ve saw this exact method before but it was only using the amount of five dollars and a list of people. You PayPal everyone one the five dollar list $5 and then put your name into the top spot and pass the list on. It is absolutely hilarious to me that someone is trying to do this make money online scam to the tune of $18,000. Too Damn Easy is definitely a scam. Good Call Eric! Sometimes I wish I could go back in time and start the whole chain letter thing, lol. You know that first guy raked it in! lol. All kidding aside, the more and more this stuff continues the more people lose out on their money. Hopefully this article helps a few people out there to see the light. Thanks for the comment!